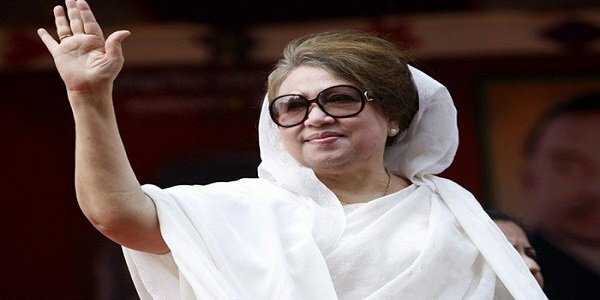 Dhaka – Leaders and activists of opposition Bangladesh Nationalist Party has began a hunger strike to demand unconditional release of their leader Khaleda Zia, jailed for her conviction for embezzling fund intended for orphans. A group of BNP leaders started the token hunger strike Sunday at the Institute of Engineers, Bangladesh, in the morning asking the government to immediately release Khaleda, also a former prime minister. The programme is scheduled to end in the afternoon. The party, which boycotted the national election in 2014 and won only six out of 300 parliamentary seats in the December 2018 election, seemed to have become weaken to launch a movement for mass mobilization against the government. Khaleda, a two-time prime minister of Bangladesh, was sent to jail after a court convicted her of graft and sentenced five years in jail in February 2018. But the high court in October revised the sentenced to 10 years. She was awarded a sentence for seven more years in jail in another case. Khaleda, 73, who has been facing few more corruption and criminal charges, was shifted to Bangabandhu Sheikh Mujib Medical University from the old jail building in Dhaka last week as her health condition has been deteriorated. Speculation has been ripen as the BNP was in negotiation with the government of Prime Minister Sheikh Hasina to allow the former prime minister’s parole as the party wants Khaleda to be treated abroad. Khaleda has reportedly been suffering from acute arthritis. But at the hunger strike protest, a senior leader of the BNP said that the party would ensure fight the legal battle for Khaleda’s freedom. BNP secretary general Mirza Fakhrul Islam Alamgir, standing committee members Khandaker Mosharraf Hossain and Nazrul Islam Khan were among those attended the programme, permission for which was opposed by the law enforcement agencies. Contingents of policemen have been deployed outside the venue.